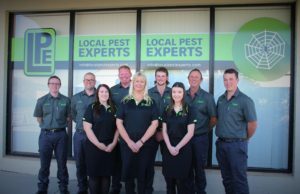 Did you know that the team at Local Pest Experts have been servicing the Mid North Coast for 20 years? That’s 20 years of Local Knowledge and Local experience. To celebrate Local Pest Experts are holding a promotion on their Facebook page where you could win one of eight (8) double passes to the movies or one of two (2) $500.00 bunnings gift cards! Visit the Local Pest Experts Facebook page for more info! What does this mean for your pest control? Over their 20 years of Local service, Local Pest Experts have amassed a huge knowledge base for the Local pest control environment. They know the pests commonly encountered locally, they know common local building design and they know the local area. Servicing all areas from Port Macquarie, through Taree, Forster and Wingham south to Tea Gardens/ Hawksnest and west to Gloucester and Barrington the freindly, helpful team of pest control Experts can help you. We service all pests including cockroaches, spiders, rodents, ants, fleas and are Experts in all areas of termite work; termite baiting, termite treatments, termite inspections, pre-purchase inspections, pre-construction termite management and list goes on. Make the right choice, get an Expert, not pests!